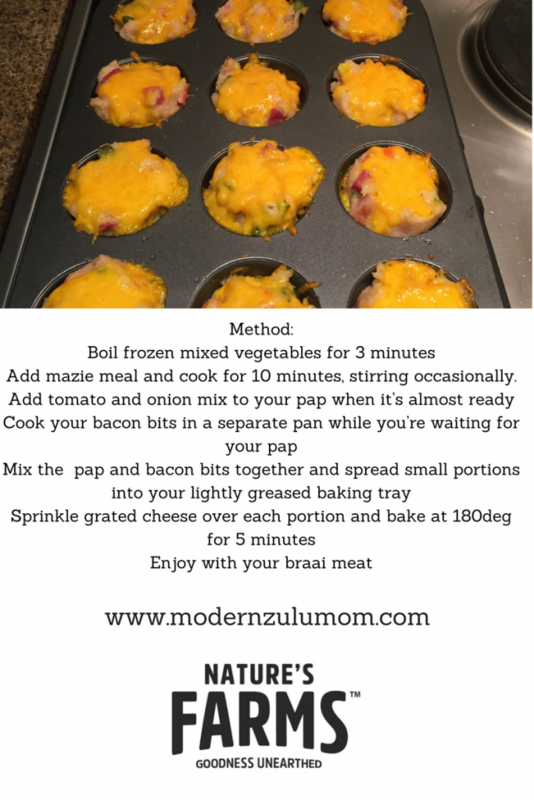 If you’ve been following my blog for a while, you will know that I do not like [read: do well] in the kitchen, so I’m always looking for ways to stay motivated and try new things so I agreed to take part in the #NaturesFarmsChallenge. 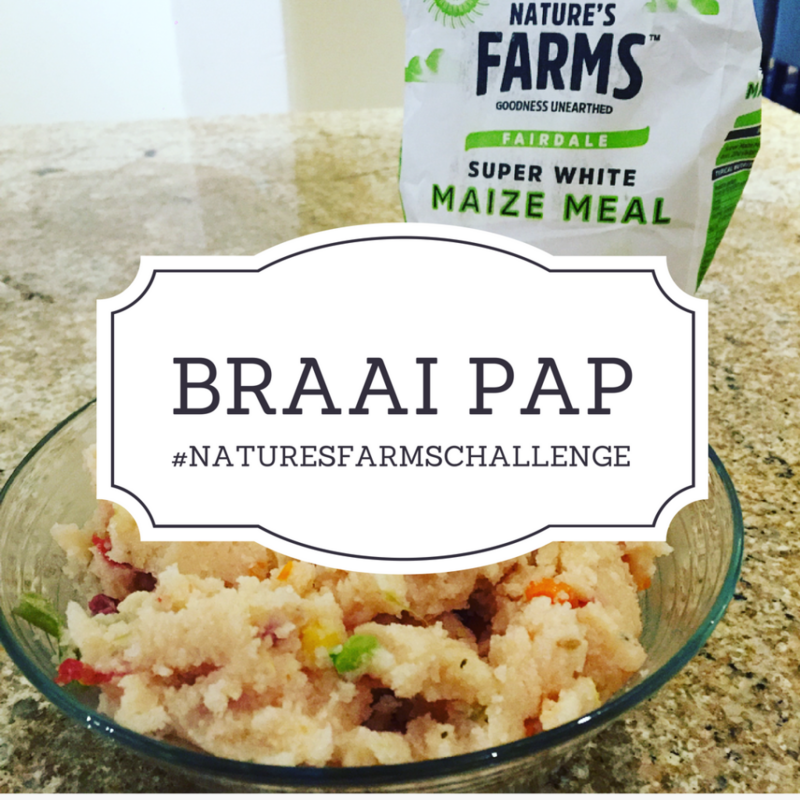 What is the Natures Farms Challenge? 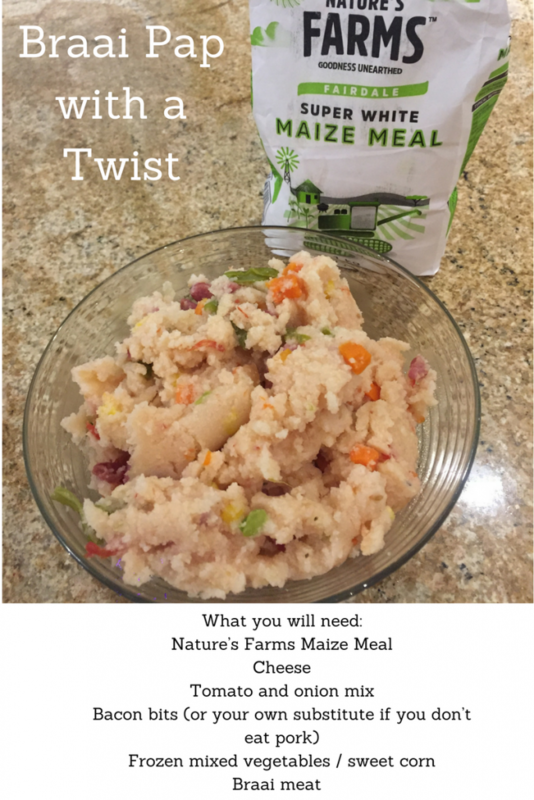 A challenge to cook or bake a South African dish with a twist, using Nature’s Farms products, since it’s a proudly South African brand. 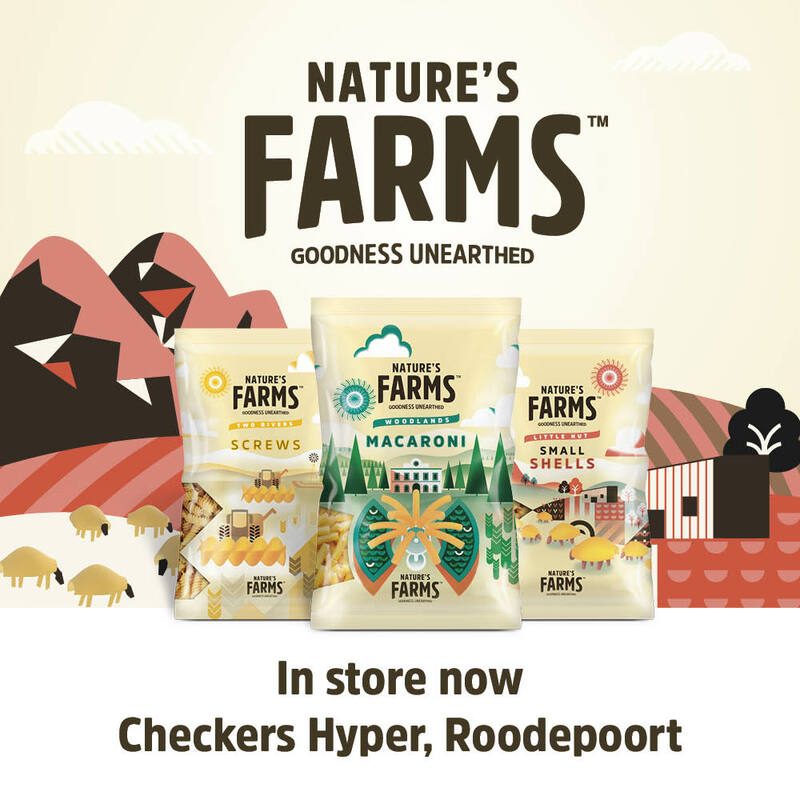 They have pastas, cookies, maize meal and flour so there is great variety and available conveniently at Pick n Pay Stores. I’ve chosen to make braai pap. Show me a kasi-girl who doesn’t love a braai? What I love most is that braais bring the whole family together. You can follow Nature’s Farms (GWK) on Twitter or Facebook and visit the GWK website for more information. 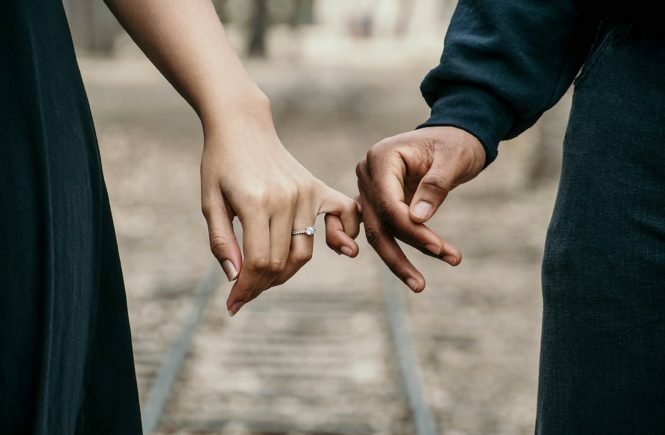 If you try this or have tried similar, I would love to hear about it. I’m always keen to try new things and improve my skills. That looks so yummy! 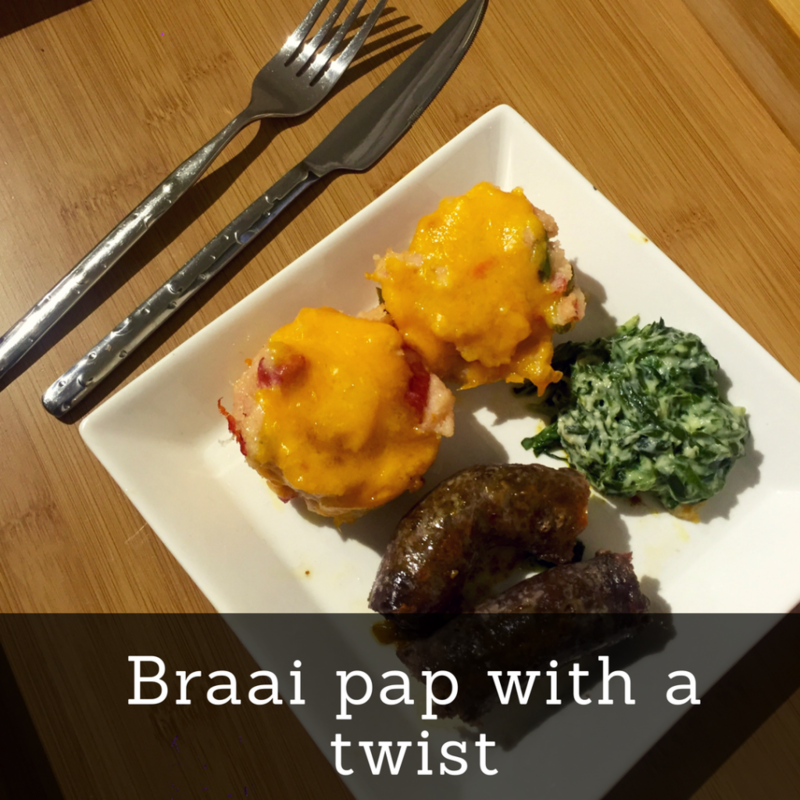 I made their pap on Sunday night with wors and it was so delish! Loved how smooth it cooked. Yummy hey? Glad we’ve both discovered it! Yes, this is a lovely twist to the norm isn’t it? Thank you mommy and please do let me know how it goes. Aah, thanks Aya. Hope your kiddies love it just as mine.